Farm Insurance Lamar County Tx – A Great Price and Sound Advice! At Country Side Insurance we strive to secure great rates and coverage for our customers. If you are searching for Farm Insurance in Lamar County Texas then look no further. 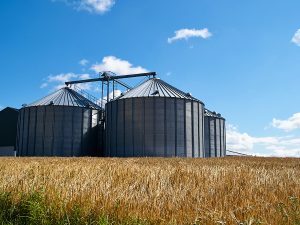 We can find the most competitive rates on Lamar County Texas Farm Insurance, as well as for Farm Insurance in Fannin County, Grayson County, Denton County, Collin County, Delta County, Hunt County, and Hopkins County. Jen’s farm has grown so much the last few years that she is running out of room for her livestock and equipment. It has become clear to her that she needs to expand, so she decides to build some additional barns on her property. She contracts a builder to construct two new barns for her. After the barns are built, she has them appraised. She is told that they are each valued at $22,500, for a total value of $45,000. Jen contacts her insurance agent and sets up insurance coverage for the barns with $45,000 in coverage. After that day, Jen barely gives the insurance on her barns a second thought. In fact, fifteen years go by without any updates to her insurance coverage. One night, during a thunderstorm, lightning strikes the roof of one of Jen’s barns and sets it on fire. It does not take long before the second barn is also set ablaze. Tragically, both barns are completely lost in the inferno. Jen submits a claim to her insurance agency, expecting that she will be reimbursed for the loss of her two barns. She is happy to learn that the insurance company has accepted her claim and will be reimbursing her to the full extent of her coverage limits. This sounds like a pretty decent outcome, right? Well, there is a bit more to the story. We’ll discuss this in our next post. Farm Insurance Lamar County Tx – We’d Love To Hear From You! What have you got to lose? If you want to see your options for Lamar County Tx Farm Insurance then don’t hesitate to call us today at 888-505-7550 (toll-free) or 903-378-7300 (direct).